A home is a place where multiple tasks occur, frequently in the same place, often at the same time. It is important therefore to provide different qualities of light to permit each activity: different layers fine-tuned for each task. Another means by which different tasks are enabled is the control of lighting circuits. This may be though a sophisticated control system with dedicated hardware and software that link to a building management system. 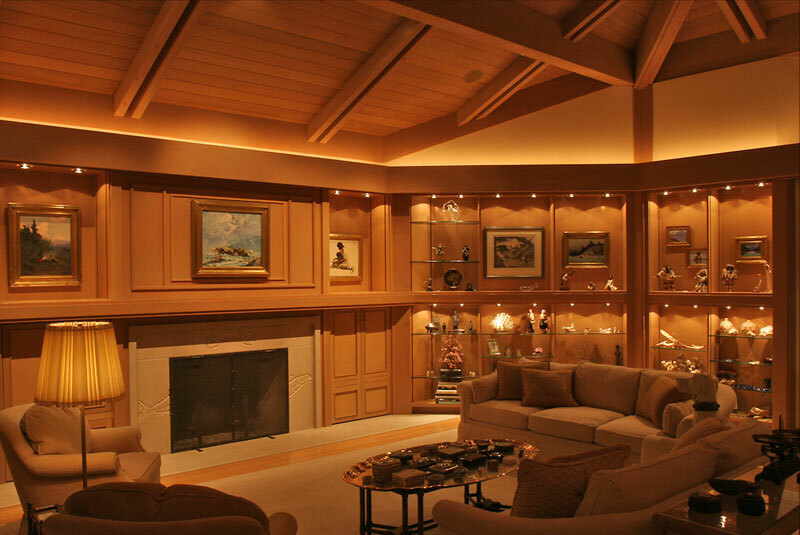 Or it may simply be though the careful selection of switched and dimmed circuits, coupled with the careful placement of switches and dimmers in the space. Whichever route is taken, the changing of light levels and the balancing of illumination within those changes are essential parts of the lighting design, and are in effect the means by which the Owner takes control of their Home.